I love these brandied cherries. I found this recipe in one of my favorite go-to cookbooks “More Fast Food My Way” by Jacque Pepin. I made just a few modifications and viola. During the summer, when cherries are plentiful, preparing a few jars of cherries in a brandy sauce to have at a later time is the best thing ever. These are fun to served along with the liquor that’s created as a great after-dinner drink. Mix the light corn syrup and vodka or fruit brandy in a bowl. 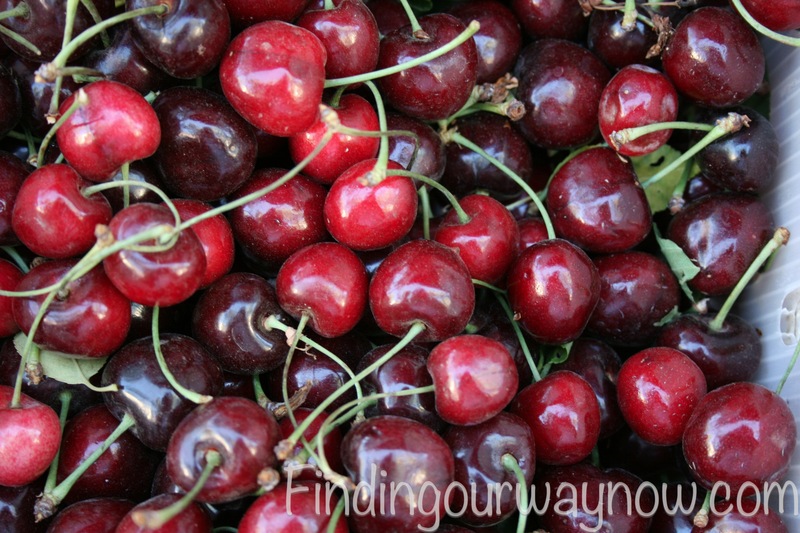 Carefully trim the stems of the cherries leaving about a 1/2 inch of the stem attached to the cherries. 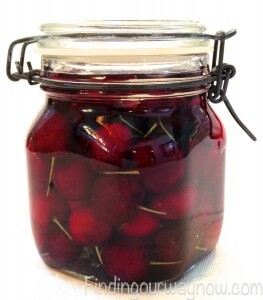 Pack the prepared cherries into a lidded jar and pour the brandy mixture over them, so it just covers the fruit. Place the lid on the jar, making sure the lid is tight. Place it in a cool place for at least a month. 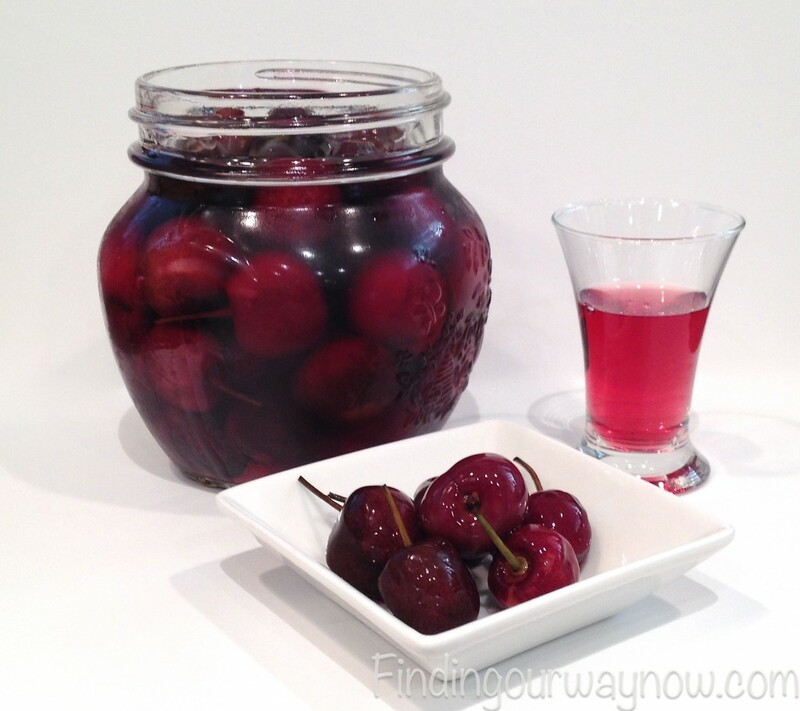 When they’re ready, serve a few cherries in a liquor glass with some of their liquor. Note: The cherries will keep for a couple of years. Make sure that the stems are not pulled out. 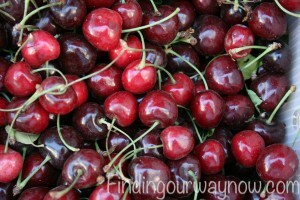 Without the stems, the cherries will become a bit too soft and not as firm. These are super easy to make. The hard part is waiting until they’re ready. These are fun to serve when you have a special occasion, or you want to treat yourself a bit. These brandied cherries make great gifts from the kitchen so plan ahead and make a few batches for instant gifts and you, of course. Enjoy. If you enjoyed my “Brandied Cherries,” check out the Homemade Raspberry or Blackberry Jam, Easy Dried Fruits Compote, and Apple Oat Crunch.